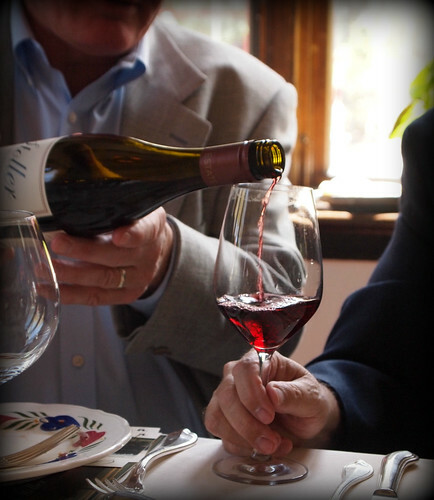 Bill St. John has written his final column on wine for the Chicago Tribune. And, it's a doozy. In a valediction, he distills (wrong verb?) his experiences and what he's gained from them. Beer-makers and beer-drinkers and beer 'experts' and, ahem, beer-writers might see their reflections. The most important thing that I learned is that wine is no big deal, that it's a part of the everyday life of millions of people — a condiment on their table, equal to salt or salsa. Three Five reports on hops; five conclusions. the third highest total harvested acreage on record. Washington, with 32,205 acres for harvest, accounts for 73 percent of the United States total acreage. Oregon hop growers plan to string 6,807 acres, or 16 percent of the United States total, with Idaho hop growers accounting for the remaining 11 percent, or 4,975 acres strung for harvest. Acreage increased in all three States from 2014 and, if realized, both Washington and Idaho acres will be at record high levels. The U.S. Drought Monitor showed 98.6 percent of Washington state in a "severe drought." The state has experienced hot and dry conditions and one of its worst mountain snowpacks on record. The lack of snowpack means there's not enough water to replenish reservoirs. Washington state accounts for about 73 percent of the nation's hops acreage — and virtually all of the production takes place in the fertile Yakima Basin, according to the U.S. Department of Agriculture. "We will have some fields that will probably see a little lower yield this year because of the combination of water stress and heat," said Ann George, executive director of the Washington Hop Commission. "We really won't know until harvest." Most of the current crop is already locked up by contracts, but analysts say the drought will boost prices for anything on the spot market. Michael Butler, chairman and CEO of Seattle-based Cascadia Capital, predicted that there could be a hops shortage starting in 2016. "Next year you won't have more land for hops," he said. "You have a shortage of water. You're going to have more demand from the craft breweries, and so you kind of pass the inflection point where the demand is greater for hops than the supply." On the other hand, the Barth-Haas Group was more sanguine in its Hops Report, the July 2015 version of its annual, international analysis of the hops industry. The winter of 2014/2015 proved to be one of the warmest and driest in the Pacific Northwest in some time. There was very little snowfall in the Cascade Mountain Range over the course of the winter, resulting in restricted water availability to some growers in the Yakima Valley for the 2015 crop growing season. Curtailment of supply during the cooler spring months will allow them access to water during the warmer late summer months. Hop growers do not anticipate that the hop crop will suffer from lack of water. Growers in Oregon and Idaho will likely get through the summer with little or no impact from restricted water supply. Bart Watson of the (U.S.) Brewers Association was warily optimistic in a report released on 16 June. The topline news is very good, showing a strong increase (16%) in acreage [in the Pacific Northwest] between the 2014 harvest and 2015 plantings, and a further shift toward the most in demand aroma varieties. Finally, a few words about drought and climate change are in order. Although I would summarize the acreage numbers as exactly what brewers (collectively) wanted to see (though individual brewers may be various levels of pleased), the yield question is huge. A low yielding crop could easily swing a five million pound projected increase (over 2014) to a five million or – in worst case scenarios – ten million pound decrease. You don’t have to be an economist to guess what spot prices and future contracts would look like given that scenario. In addition, long term water issues could have devastating effects on the ability of new plantings to mature. Earlier this week, Otmar Weingarten of the German Hop Growers Association told the those attending International Hop Growers Congress in Bavaria that production in Germany’s main hop growing regions would likely fall 12 to 22 percent short of earlier predictions. And Ann George, executive director of the Hop Growers of America, said that US alpha varieties yield would be down up to 5 percent and aroma varieties off 10 to 15 percent. Some of these pressures may be mitigated down the line by hop growing regions outside the Pacific NW. Michigan has ~400 acres now and another ~400 being planted and strung. Other regions like the Northeast are also being expanded. Nevertheless, in the grand scheme, a few thousand acres here and there do very little in a hop market if the ~44,000 acres in WA, OR, and ID see serious shocks. Wait and see, but the bottom-dollar line is that breweries should have secured their hops contracts by now. Or, as Mr. Watson suggests: "If you want to throw in a little rain dance, that would be fine too." Clamps & Gaskets: News Roundup for Weeks 28/29, 2015. "Hops have worked their way to the gustatory core of most craft beer recipes." That, and the results of an annual look at the world hops business from the Barth-Haas Group. Belgian brewery, Duvel Moortgat, buys its third American 'craft' brewery: Firestone-Walker, in Paso Robles, California. Since 1996, Pabst has been a contract brewery; its beers brewed for it by others. Now, Pabst is to brew beer again, on the grounds of its former headquarters, in Milwaukee. But not its flagship Pabst Blue Ribbon (PBR); and the facility will be a small brewpub. More than 150 beer writers from across the U.S. participated in the 2015 iteration of the Beer Bloggers and Writers Conference, in Asheville, North Carolina. The conference included “a lot of beer,” but it’s not just an excuse to drink, said conference organizer, Allan Wright of Zephyr Adventures and Taste Vacations. “This is a a professional conference, not a drinker’s conference. “Everyone who comes is fairly committed” to writing about beer, he said. The (U.S.) Brewers Association published the results of its annual “Brewery Operations Benchmarking Survey.” This year’s review, based on 2014 operations, featured responses from three hundred ten unique breweries in forty-six states, all of which responded to questions in the areas of human resources, sales and marketing, and brewing and financial operations. 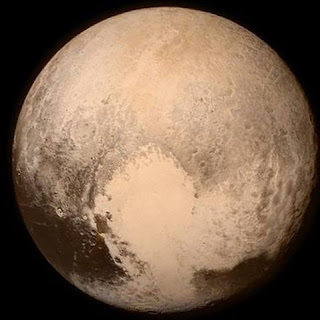 After a nine and one-half year voyage of three billion miles, NASA's New Horizons probe passed within seven thousand eight hundred miles of the dwarf planet Pluto's surface. European leaders agree to economic 'rescue' plan for Greek government and banks, averting default. An asset management company, using the price of beer sold at Oktoberfest in Munich over fifty years as a benchmark, creates a gold-to-beer price index, and finds that beer in 2015 is relatively inexpensive. Doh! Cartoon character Homer Simpson's beer of choice, Duff Beer, to be brewed in reality, and sold, licensed by Fox TV, in Chile. The 2015 hop harvest in the U.S. "will be the third highest total harvested acreage on record. Washington, with 32,205 acres for harvest, accounts for 73 percent of the United States total acreage. Oregon hop growers plan to string 6,807 acres, or 16 percent of the United States total, with Idaho hop growers accounting for the remaining 11 percent, or 4,975 acres strung for harvest. Acreage increased in all three States from 2014 and, if realized, both Washington and Idaho acres will be at record high levels." The science of beer and food pairing: finding the affinity between flavor compounds in beer and those in food. —Via Matt Humbard, at A Ph.D. in Beer. "Don't waste your piss." A Danish music festival recycles urine to fertilize barley used to brew beer. How many calories are in your beer? Use this formula: "cal per 12 oz beer = [(6.9 × ABW) + 4.0 × (RE - 0.1)] × FG × 3.55." Or, to approximate: multiply the beer's alcohol content percentage (ABV) by 2.5, and that by the number of ounces of beer. In May, the Beer Judge Certification Program (BJCP) released its 2015 Beer Guidelines. The first major revision since 2008, the guidelines list thirty-four categories of beer 'styles,' and one hundred-nineteen sub-categories. 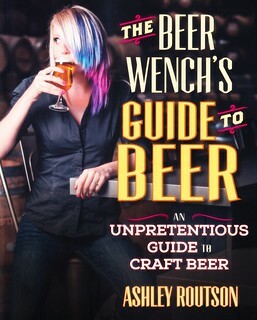 The BJCP was founded in 1985 to "develop standardized tools, methods, and processes for the structured evaluation, ranking and feedback of beer, mead, and cider," and to "certify and rank beer judges through an examination and monitoring process, sanction competitions, and provide educational resources." A volcanic beer shower when tapping a cask? Uh, no. That's the result of an unskilled publican, tapping with macho posturing. A skilled cellarman, who understands how to properly handle and condition a properly-brewed cask ale, rarely will be bathed in beer. 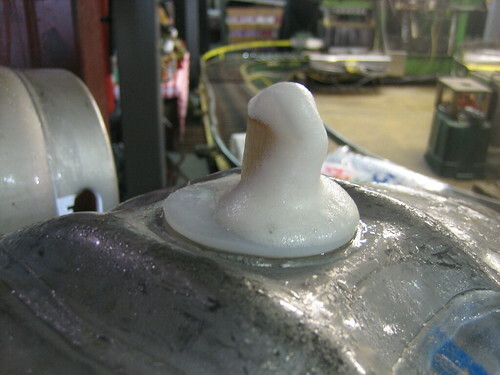 cask conditioned beer should never be flat. A certain amount of carbon dioxide must be retained in the beer to give it liveliness on the palate; this is the "condition" sought by the cellarman, and without it the beer can become flat and lifeless. The flavor of the beer is materially affected by the secondary fermentation. The photo above was taken, in Baltimore, Maryland, on 16 May 2009, at a festival at a brewery then known as Clipper City Brewing Company (and now known as Heavy Seas Beer). Excess carbonation (and beer) was fobbing through a soft spile (made of bamboo) which the cellarman had earlier inserted into the tut (an indentation) in the top shive bung of the firkin (a cask holding 10.8 U.S. gallons). When the fobbing dissipated, and only then ... was the beer ready to be drunk. Virginia Governor Terry McAuliffe has proclaimed August to be Virginia Craft Beer Month, and Virginia breweries will celebrate ... and compete. NOW, THEREFORE, I, Terence R. McAuliffe, do hereby recognize August 2015 as VIRGINIA CRAFT BEER MONTH in our COMMONWEALTH OF VIRGINIA,and I call this observance to the attention of all our citizens. The greater portion of this growth can be tracked back to 2012, to the passage of Virginia Senate Bill 604 and House Bill 359, that allowed production breweries —that is, breweries without a restaurant attached (aka brewpubs)— to sell beer for on-site consumption in their public taprooms. That same year, the Virginia legislature first proclaimed August to be Virginia Craft Beer Month. 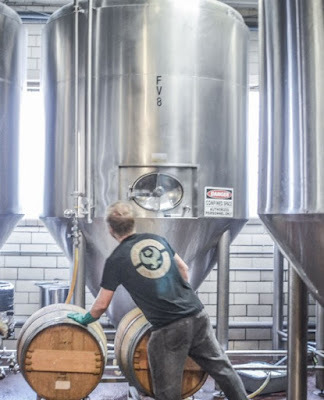 The Virginia Craft Brewers Guild —a subset of the Virginia Manufacturers Association— "is a coalition of independent, small, commercial breweries dedicated to growing the craft beer industry in the Commonwealth." Every year, since 2012, the Guild has celebrated Virginia Craft Beer Month by organizing the Virginia Craft Brewers Fest at the fairgrounds of Devils Backbone Brewing, in Roseland, Virginia. This year, that will be on Saturday, 22 August. A highlight of the festival is the awarding of the Virginia Craft Brewers Cup to the state's best beer and brewery. Nationally accredited judges (BJCP, the Beer Budge Certification Program) judge entries independently, earlier in the month. 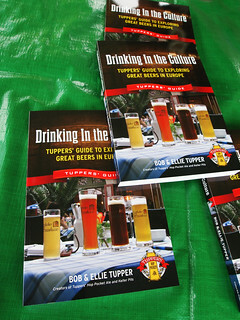 Last year they judged over two-hundred beers entered in fourteen categories. 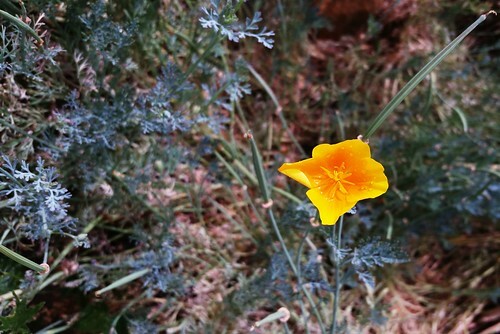 A summer scene, captured in Colorado, with a cell-phone camera. Brewing beer is a glorious thing; and it can be a very dangerous thing. 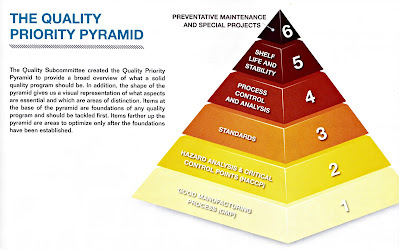 It's an industrial process with palpable hazards requiring industrial care. 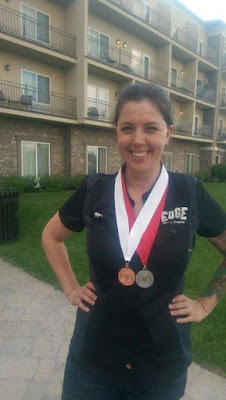 Kerry Thomas (Caldwell) is the brewmaster at Edge Brewing Company in Boise, Idaho. Last Friday, 10 July, Thomas was brewing "her favorite beer," Obligatory Double IPA. As the kettle came to a full boil, the wort spurted onto the brewhouse platform where she was standing. According to a GoFundMe site set up for her by family and friends, Thomas has suffered 2nd and 3rd degree burns over 30% of her body. She'll require extensive surgery and skin grafting, at the Burn Center of the University of Utah Hospital, where she is being cared for. I don't know Ms. Thomas, but I do know that the operations she'll need, and the care and rehabilitation, will not be pleasant and will not come cheap. Step up, 'craft' beer world-ers, and help a fellow sister-in-beer. Clamps & Gaskets: News Roundup for Weeks 24/25, 2015. Patagonia (Chile/Argentina), Bavaria (Germany), Frohberg (Germany), and Saaz (Czech Republic). The history of lager yeast, and the creation of a new hybrid lager yeast. 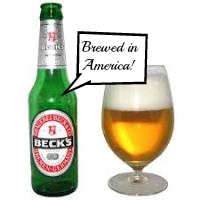 U.S. homebrewers vote for their favorite U.S. beers and breweries, and imports. This is the seventh year in a row American Homebrew Association members chose Russian River's Pliny the Elder as the top beer, and the sixth consecutive year that Bell’s Two Hearted Ale came in second. Roman Catholic Pope Francis I releases Laudato Si, an encyclical stating that the “bulk of global warming is caused by human activity." "The earth, our home, is beginning to look more and more like an immense pile of filth." On the evening of June 17, 2015, a mass shooting took place at Emanuel African Methodist Episcopal Church in downtown Charleston, South Carolina. Nine people were killed, including the senior pastor, state senator Clementa C. Pinckney; a tenth victim survived. The congregation is one of the United States' oldest black churches and has long been a site for community organization around civil rights. Police arrested 21-year-old Dylann Roof. an avowed white supremacist. Beer garden at Wild Wolf Brewing, Nellysford, Virginia. Courtesy Lucy Saunders: Dinner In the Beer Garden; 2014. 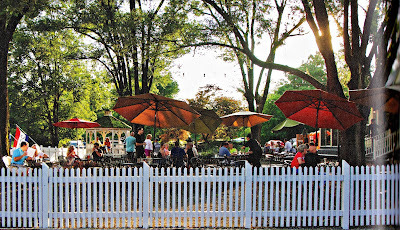 A list of twenty-two of the best beer gardens in America, as compiled by Time Out New York. —Via Time Out New York. To further American craft beer promotion and education in Europe, the Brewers Association (BA)—the non-profit trade association dedicated to American small and independent craft brewers—has hired Sylvia Kopp as its first-ever American Craft Beer Ambassador in Europe. American farmers planted more than 44,000 acres with hops in year 2015, an increase of 16% over year 2014. In 2009, 69% of hop acreage was devoted to alpha hops (hops used for bitterness rather than aroma), while in 2015 only 23%. 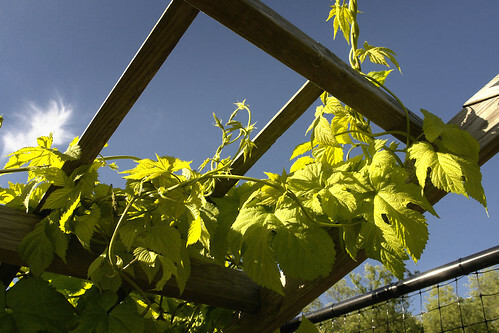 The percentage of acreage of aroma hops has more than doubled from 31% in 2009 to 77% this year. —Via June Hop Acreage Report by (U.S.) Brewers Association. The Magna Carta (Great Charter) was signed 800 years ago, on 15 June 1215, by England's King John and rebellious English barons and nobles, providing protection for the barons from illegal imprisonment, providing access to swift justice, and imposing limitations on feudal payments to the King. It effectively established the principle of English law that "nobody was above the law, and that the rule of law was paramount." The Magna Carta contained 63 clauses, including one on the sale of beer and wine. "Let there be throughout our kingdom a single measure for wine and a single measure for ale." A newspaperman's newspaperman. John S. Carroll, acclaimed newspaper editor for Lexington Herald-Leader, Baltimore Sun, and Los Angeles Times, winning numerous Pulitzer prizes, has died at age 73. After several years of promoting competing bills for excise tax relief, the Beer Institute and the (U.S.) Brewers Association have agreed on a compromise bill, the Craft Beverage Modernization and Tax Reform Act. Ohio supermarket chain, Heinen's, has removed a Maryland 'craft' beer from its shelves, after customers complain about the name: Sweet Baby Jesus, from DuClaw Brewing. 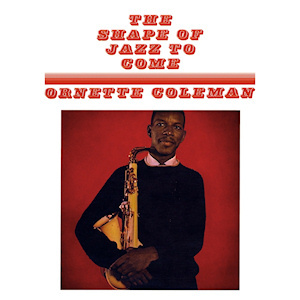 Ornette Coleman, one of the great innovators of modern American classical music, jazz, has died, at age 85. The decline of hops in German pilsners? The Journal of the Institute of Brewing and Distilling has published a study that indicates that the bitterness level of German pilsners has has dipped, now brewing with about 27 International Bitterness Units (IBUs). Bright, filtered, unfiltered natural, or murky? The case for cloudy beer. —Via Stephen Beaumont, at The Globe and Mail. The 17th/18th-century English story of porter. Three-threads was NOT porter; it was tax-dodging beer-blending. Beer color for beer geeks: vocabulary, SRM, hexadecimals. Obituary for Reg Drury, 1939-2015: the brewer who saved cask ale at Fullers Brewery in London. Worked for the brewery for 40 years, ending as director of brewing. "When he retired from Fuller’s, he became an assessor for Cask Marque, the industry-funded group that monitors the quality of real ale in the nation’s pubs. Statistics released just a few days after his death showed that sales of cask beer, the style he helped improve and foster, have grown appreciably in 2014 and 2015. Reg was good beer’s best friend." —Via Roger Protz, at The Guardian. Incrementum —a Liechtenstein-based asset management company— looked at the amount of beer that an ounce of gold could purchase at Oktoberfest in Munich, for the sixty-five years from 1950 through the present. Presenting the data as a Gold-to-Beer Price Index, it found that the current beer-purchasing power of gold is quite high. Many comparisons from everyday life show that gold is currently not valued at an excessively high level. While a Maß beer (one liter) at the Munich Oktoberfest in 1950 still cost a converted EUR 0.82, the price in 2014 stood between EUR 9.70 – EUR 10.10 (average EUR 9,90). Thus, the annual price inflation of beer amounts to 4.2% per year since 1950.37 If one measures the beer price in gold terms, then one received 97 liters of beer per ounce of gold in 2014. 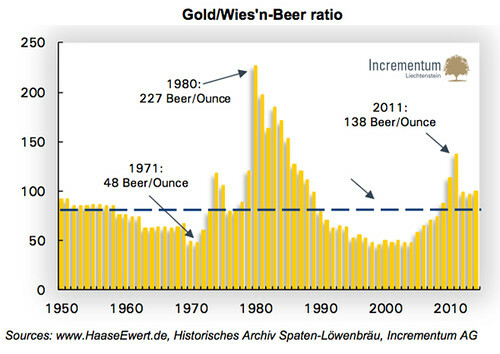 Historically the median is at 87 Maß, the 'beer purchasing power' of gold is therefore currently quite high. The peak occurred in 1980, at 227 liters per ounce of gold. We believe it is easily possible that this level will be reached again. 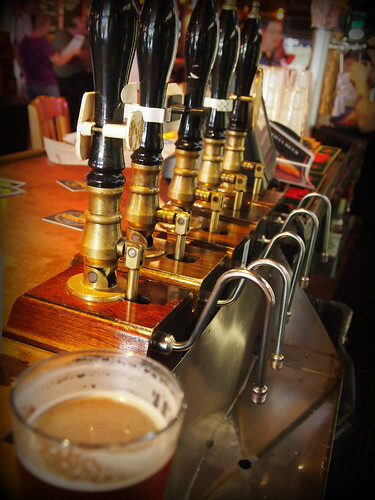 Beer aficionados should, therefore, so to speak, expect a rise in beer liquidity. Vice-versa, these data show that beer is cheap. Now. In Germany. At the Oktoberfest. But one wonders: if there were a Gold-to-'Craft' Beer Index, would the results be as sanguine? Pic(k) of the Week. Coming soon! Mad Fox Tap Room. It's a two-for of good news for good fermentables in the Washington, D.C. area, today. After over two years of planning, unexpected delays, and construction, the Mad Fox Brewing Tap Room appears ready to open, in about a month, in early August. 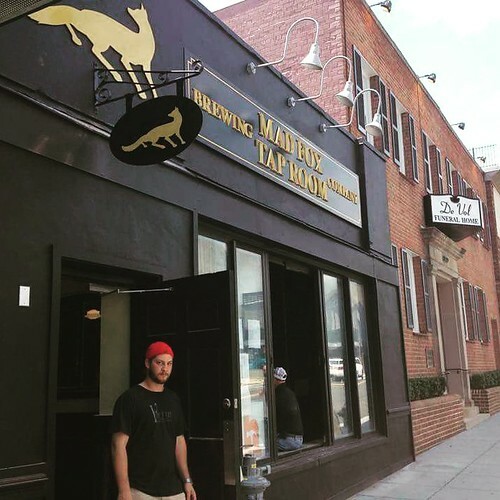 Located in the Glover Park neighborhood of Washington, D.C., the pub will not brew its own beers, but feature those of its parent location, the Mad Fox Brewing Company, a brewpub in nearby Falls Church, Virginia. 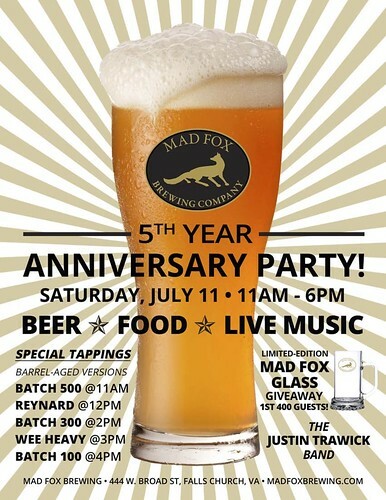 And, apropriately enough, the original Mad Fox is celebrating its 5th anniversary, today, 11 July 2015. Every year for the past eight, a group of brewer's organizations and breweries in the U.K. has released a report on the state of cask ale in Britain. Called, cleverly, The Cask Ale Report, it's a joint project of such organizations as SIBA (Society of Independent Breweries), CAMRA (Campaign for Real Ale), and Cask Marque, and several breweries. Beer writer Pete Brown authors the report. But no cask ale data. Via Twitter, I asked Bart Watson —chief economist for the association— whether he and the BA might consider compiling stats on casks. Here's the exchange. @Cizauskas A decent % of the "other" in table 14 is cask. We may break it out specifically next time. Let's assume, for arguments sake, that cask ale production equalled 1% of all 'craft' beer production in the United States, which, in 2014, was 21,775,905 barrels. If so, cask ale production would have equalled 217,759 barrels. (Remember that a barrel is not a keg. It's a measure of beer volume, equal to 31 U.S. gallons). Doing the math, we could guess production at 625,048 firkins (10.8-gallon casks) produced in 2014. That would have been quite a lot of 'real ale,' but, of course, the figure is only an unsubstantiated guess. (Cask-production shared in the report's 'miscellaneous' growth figure with beer sold in growlers and beer produced in wooden-barrels.) We may find out, for 'real,' in 2017. Clamps & Gaskets: News Roundup for Weeks 22/23, 2015. American Pharoah becomes the first horse to win racing's Triple Crown in 37 years. One sign of the 'maturing' of 'craft' beer business: a job carousel. Karl Ockert —for 20 years, brewer and then brewmaster for Bridgeport Brewing, in Portland, Oregon— to become Head of Brewery Operations, at Deschutes Brewery, in Bend, Oregon. Another sign of the 'maturing' of 'craft' beer business: another job carousel. Scottish 'craft' brewery, BrewDog, snags Anheuser-Busch InBev's international regional director for Asia to lead BrewDog's international sales. Sepp Blatter to resign as president of FIFA —Fédération Internationale de Football Association, the world soccer’s governing body— days after winning reelection (after 17 years in the position), as law enforcement officials in the United States confirmed that he was a focus of a federal corruption investigation. Maryland brewery Flying Dog pulls out of a project to build a farm-brewery in Loudoun County, Virginia. A hops facility on the same farmland —which was christened in November 2014 by Virginia Governor Terry McAuliffe and will receive grant money from the state and county— is not affected by the change and will go ahead as planned. Anheuser-Busch temporarily halts beer production in its Georgia plant, and converts to producing canned water for victims of recent severe storms and flooding in Texas and Oklahoma. The first Memorial Day was called Decoration Day, and was observed on 30 May 1868. U.S. mathematician John Nash, 86, renowned for his work in game theory, winning the Nobel Prize for Economics in 1994, died in a car crash, with his wife, Alicia. Nash's breakthroughs in math —and his struggles with schizophrenia— were the focus of the Oscar-winning 2001 film, "A Beautiful Mind." Calm. Cut. Contrast. Complement. A guide to pairing beer and food. A list of the the oldest brewery in each of the fifty states in the United States, and Washington D.C. The breweries are either very old or very new, due to Prohibition, post-Prohibition consolidation, and the rise of 'craft' breweries since 1981. The majority of tweets about beer that are sent from the United States originate in the middle of the country; on the coasts, there are more tweets on wine than beer.